A third-generation farmer and a food giant’s direct-buying stations prove that locally grown green beans are still worth a lot of greenbacks. Coffee is known as ‘black gold’ in coffee-producing countries such as Brazil, Vietnam, and Indonesia for its profitability; no wonder it’s touted as the second-most traded commodity in the world after oil or petroleum. Sadly, that’s no longer the case here in the Philippines. Once the fourth-largest coffee producing country in the world, it now has to import 48,000 metric tons of green coffee beans (GCB) annually for local consumption. 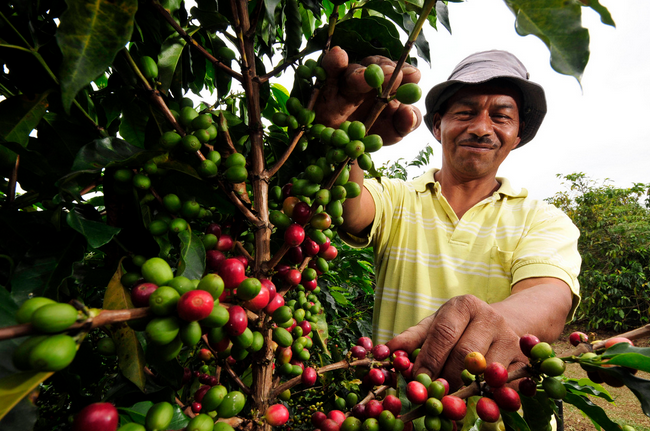 Still, local coffee growers can profit from this cash crop, and one way is through food giant Nestlé’s 15 coffee-buying stations across the country, part of its direct buying policy to support local farmers. Gina Mangalindan, 46, of Orani town in Bataan knows: she’s been part of this buying program for over a decade now, and has been advocating coffee planting for the last two, being a third-generation coffee grower. Apart from maintaining her own farm in Barangay Tala, she recalls joining her grandfather Juan and father Jose in farm work—the family oversaw a 100-hectare plantation—at the young age of six. That has changed over the last 10 years. “Manufacturers from all sorts of industries—from nutraceutical, to cosmeceutical, and health and wellness—are now getting interested in coffee,” she adds. 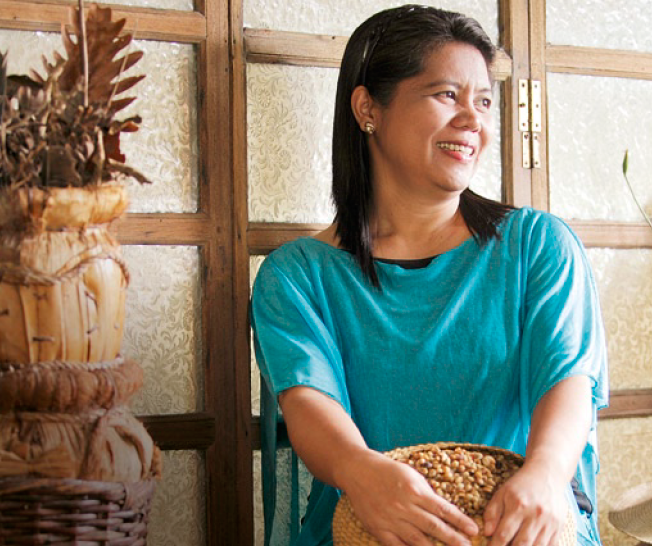 Through its Experimental and Demonstration Farm in Tagum City (Davao del Norte province), Nestlé helped Gina as she began to grow her first crops, addressing the issues that limit coffee yield and productivity. Her farm eventually became a model coffee plantation, visited by no less than Nestlé Philippines chief executive John Miller. Personally growing her coffee trees from seedlings to stem cuttings to planting, Gina also handles the harvesting and drying beans even during the La Niña season. The Nestlé buying station then buys beans but imposes a quality grading system for them. Gina doesn’t mind the quality control because “it is food that we put on our table and eat. So we need to have the highest standard for the food we eat.” You can call that the gold standard. This article was originally published in the April 2012 issue of Entrepreneur magazine and was recently updated by the online editor. Subscribe to the print or digital version here. Head start: How does a prospective entrepreneur put up and run a call center?